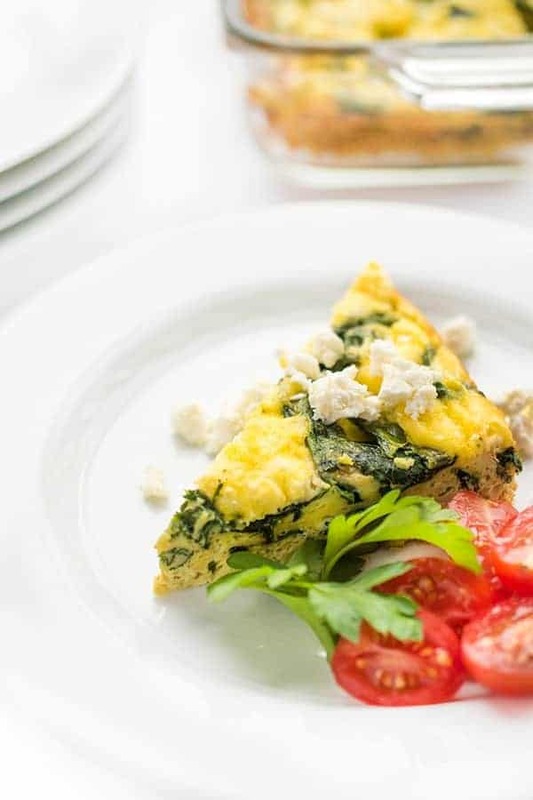 A high protein, low carb breakfast recipe, this Greek-inspired spinach and feta egg bake is full of flavor and great for making ahead of time. Love it or hate it, I’m a firm believer that meal planning and food prep is the key to success when it comes to reaching weight loss and/or total health goals. While I don’t always make it happen, my week always goes better when I make it a priority. 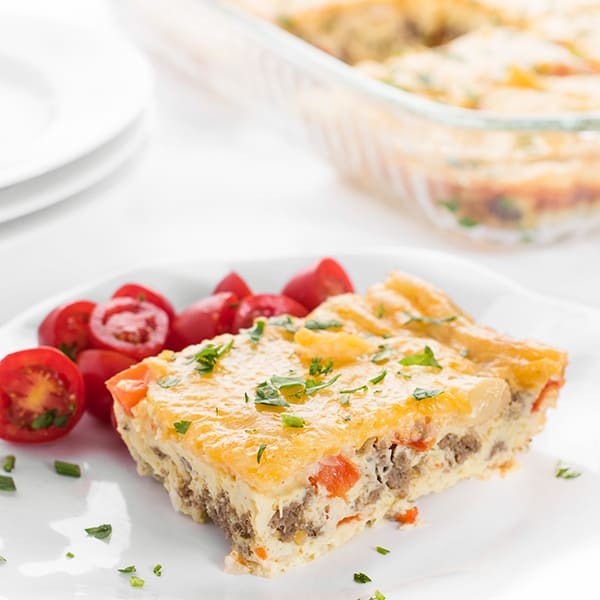 As I mentioned recently when I shared my easy Turkey Breakfast Sausage recipe, I am a huge fan of make-ahead high protein, low carb breakfast recipes. 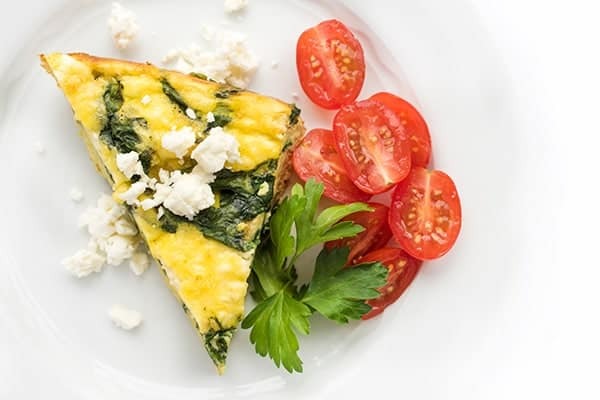 This Greek-inspired egg bake is packed with 26 grams of protein per serving and less than 5 grams of carbohydrates. 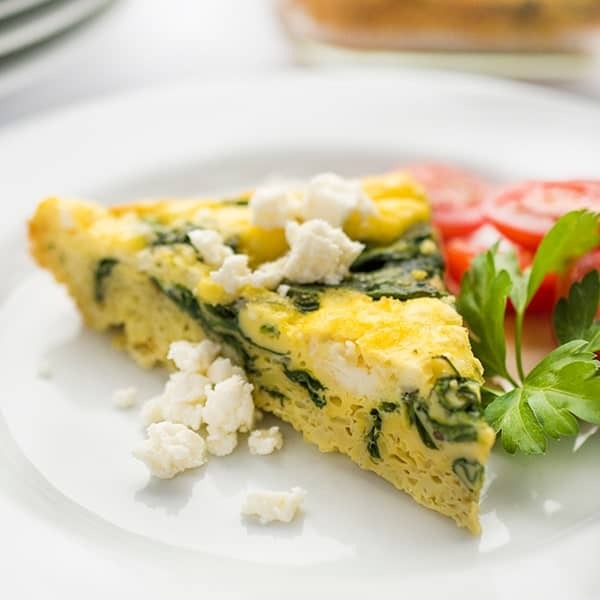 Made with tangy feta cheese and seasoned with oregano, each bite is full of Greek flavors. Feel free to get creative and throw in kalamata olives or sun-dried tomatoes. If you don’t have spinach on hand, any leafy green will work such as kale or Swiss chard. For an added kick, sprinkle with chili flakes before serving. Preheat oven to 375 degrees and spray an 8x8 baking dish with cooking spray. Heat oil in a large frying pan over medium-high heat. Add spinach and sauté until bright green and wilted, about 4-5 minutes. Spread cooked spinach into an even layer in baking pan. 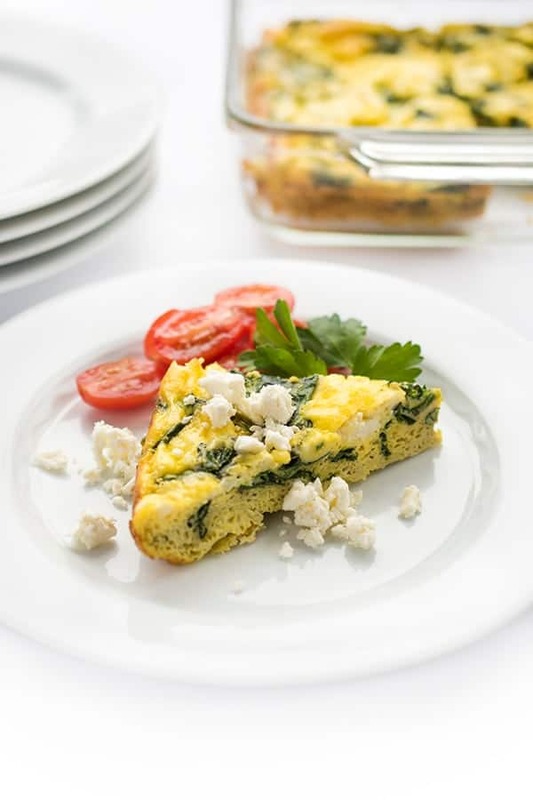 In a medium bowl, whisk together eggs, salt, pepper, oregano and garlic powder. 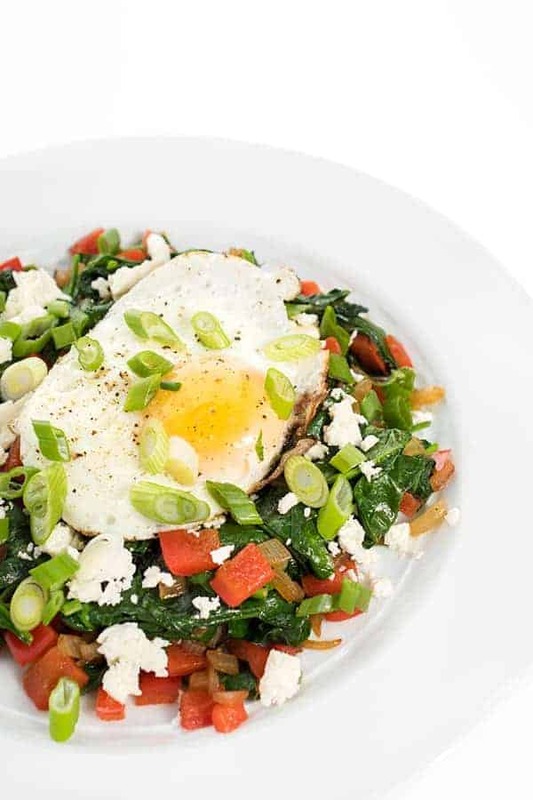 Pour mixture over spinach and use a fork to carefully stir the spinach and eggs. 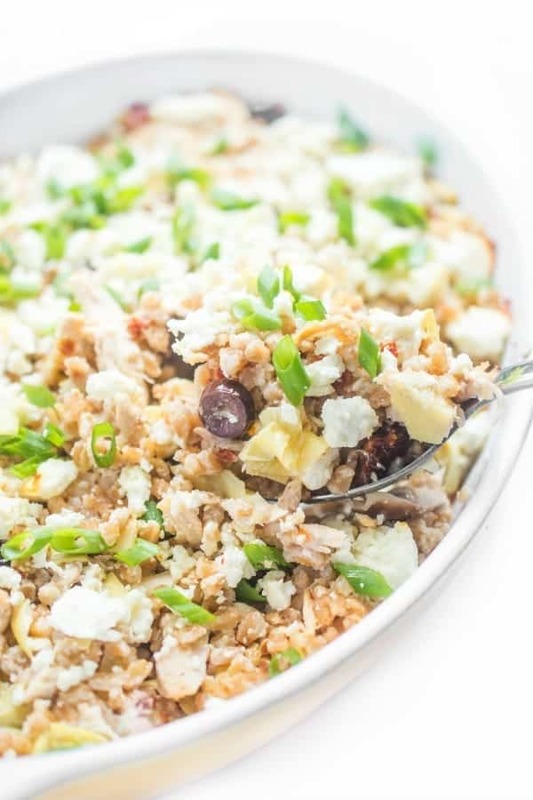 Sprinkle entire dish evenly with crumbled feta. Bake in oven until eggs are fully cooked through, about 30-35 minutes. Slice pan into eight pieces to serve. Recipe inspired by Kalyn's Kitchen. 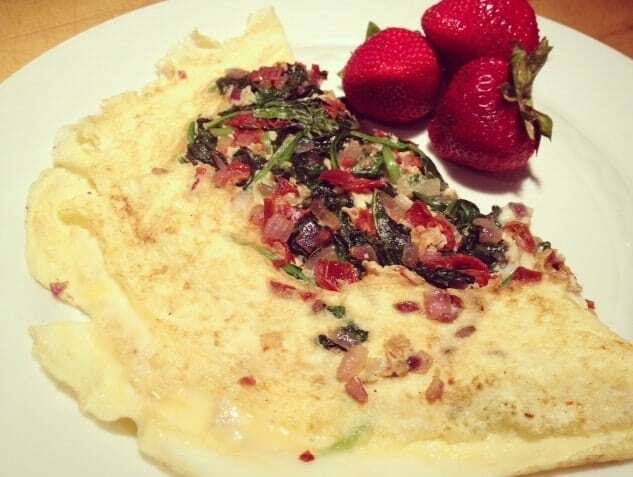 Check out more of my healthy breakfast options on my Pinterest board! How long is it good for after cooking it? Recipe says to use 8×8 baking dish but in the video the dish was not 8×8. What size should be used? This sounds like a great breakfast, but as one who has only two people eating it, I’m curious to know how it reheats. Have you tried that? 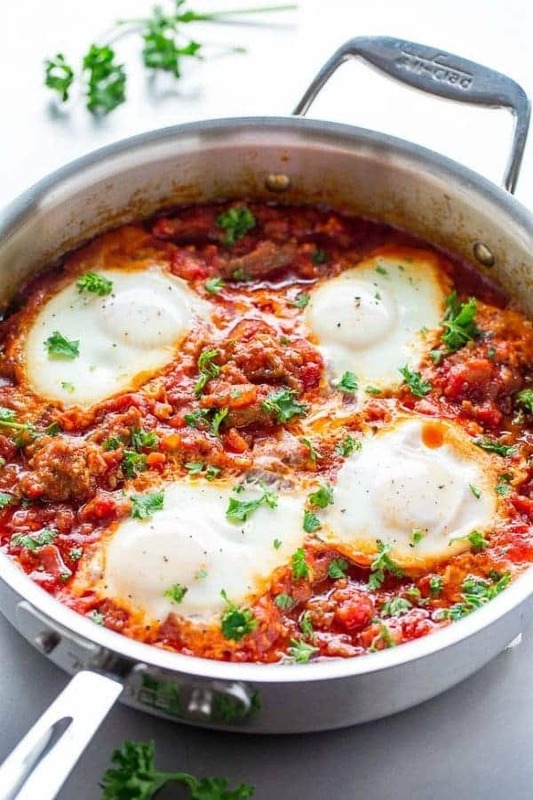 I ALWAYS reheat it – I make it on Sunday and eat it all week. It reheats really well! If I makeahead do I cook it or can I put mixture in the fridge overnight. ?